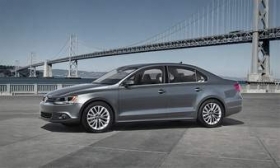 Because of the longer wheelbase, the new Jetta has more legroom than the current car. REUTLINGEN, Germany -- In March 2010, Robert Bosch GmbH spent 600 million euros, or about $816 million, to expand a factory here for fabricating integrated circuits and related parts. It was the largest single investment in Bosch history. That investment, and the company's related spending on electronics r&d, is paying off. In 2010, Bosch's global parts sales to automakers, including those from the expanded factory, jumped 35 percent, making it again No. 1 on the Automotive News list of the top 100 global suppliers. In 2010, as the top 100 global suppliers bounced back from the recession, 96 posted higher sales to automakers and 85 posted double-digit percentage gains. Spending on r&d is more difficult to measure because of differences in how it is counted, but a sample of major companies shows that it also has rebounded. The increased complexity of vehicles gives suppliers an opportunity to stand out through innovation if they spend on r&d. Take Eaton Corp., which makes engine valves, superchargers and other powertrain-related parts. Chairman Alexander Cutler has set a goal for each division to grow 50 percent faster than its market each year. Ken Davis, president of Eaton's Vehicle Group, says that means targeting the r&d budget to high-growth technologies: "We're thinking how we can spend that money to outgrow our markets." The push for greater fuel economy is driving a need for new sophisticated components such as eight- and nine-speed automatic transmissions, stop-start equipment and batteries for electrics and hybrids. And consumers want better safety systems and Internet connectivity. Although suppliers of all sizes are winning contracts, large, global companies such as Bosch are taking the lead in the r&d race. They have top-flight engineers and deep relationships with automakers eager to improve their vehicles. Bernd Bohr, chairman of Bosch's Automotive Group, is bullish on plug-in hybrids and electric vehicles, which play to the company's expertise in electronics and powertrains. "By 2013," he says, "we will start series production of electromobility products for nearly 20 projects for 12 automakers." TRW Automotive Holdings Corp., No. 11 on the top 100 global list, says it is hiring engineers for high-growth products such as electric steering, along with radar, cameras and other devices that help drivers avoid accidents. The company boosted r&d spending to $669 million in 2010, up 2 percent from 2009. In 2009, the Lancia Delta in Europe added a TRW system that uses a camera to watch lane markers. If a car drifts out of its lane, a signal is sent to the car's electric steering, which nudges the car back. The driver can override the nudge with the steering wheel. TRW is seeking other customers for the system. A sampling of r&d budgets among top global suppliers. Definitions of r&d vary by company, so amounts mainly show each company's trend. Bosch's German computer chip factory illustrates the huge investments needed to produce advanced auto parts. Workers dressed in clean suits and masks quietly tend multimillion-dollar machines that turn raw silicon wafers into auto computer chips. The building sits on a platform that cushions the machinery from tiny vibrations from nearby truck traffic. In a separate building, engineers and technicians tend rows of machines that test each chip's performance. The new portion of the plant turns about 300 wafers into chips a day. About 2,500 chips can be produced on a single wafer. Bosch has plans to handle 800 wafers per day by 2016. The production cost of each chip ranges from about 50 cents to as much as $4 for, say, a sophisticated airbag chip. The need for computer chips in autos is expected to keep growing at a healthy rate, said Tim Frasier, Bosch's North American vice president for automotive electronics. Advanced luxury cars such as the Mercedes S class have about 700 chips in such systems as brakes, airbags, engine controls, stop-start adaptive chassis and others. This year Bosch projects its automotive r&d spending to reach 11 percent of automotive sales. Bosch expects to spend $4.68 billion on auto-related r&d in 2011, and to post sales of about $43.91 billion. In 2010 the company spent $4.39 billion on automotive r&d and reported automotive sales of $41.13 billion. The list of the top 100 global suppliers was compiled by the Automotive News Data Center. Sales figures exclude nonautomotive or aftermarket sales. Figures are in dollars. In some cases, Automotive News translated the numbers from other currencies, using average annual exchange rates. Some figures are estimates, and some are for the supplier fiscal year rather than the calendar year.